Our video production company offers videography packages for weddings of various types - from elopements and small family weddings to grand celebrations. With each bundle, you'll get a cinematic film of your wedding. For an additional expense, our team of filmmakers can make a highlight reel for you with your choice of song and music. This montage will be a short film containing the highlights from your special day, which would be an ideal way to share your wedding experience with friends and family. 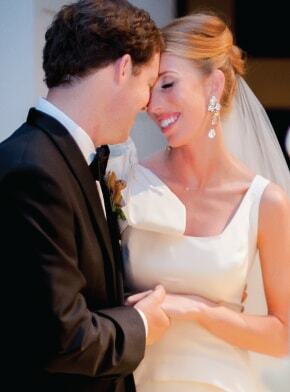 This wedding package covers BOTH the wedding ceremony and the post-ceremony reception. This option comes with 10 hours of videography coverage to cover both events. 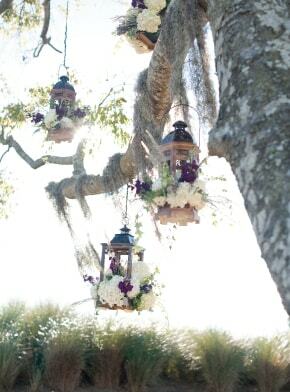 This is a fine option to cover the main ceremony and the reception activities (i.e. cutting of the cake, first dance, and the bride/groom dancing with parents). Designed for small gatherings, the basic package comes with full coverage of the wedding ceremony (up to 4 hours). The final product will be a documentary style of film, available for digital download. First Dance at the Botanical Gardens. Finally, the videography will cover the ceremony and the reception. The final product will include a documentary style wedding film, and a highlight reel. In all our packages, the raw files will be included for digital downloaded via Google drive. Note that these raw files are unedited, and have a little to no color correction. However, clients do enjoy getting these raw files as it provides a candid, behind-the-scenes view of the event. We offer competitive drone videography prices for all our packages. For up to 4 hours and utilizing safe/quiet drones, we film stunning footage of the surrounding venue to create a 2-4 minute standalone video. We can also integrate this footage with the Highlight Reel option, and of course, it will be integrated with the standard wedding film. We evaluate the expenses, the laws, and risks related with the operation of a flying drone and plan accordingly for each job. We strive to offer affordable wedding videography in NYC, and if our packages don't fit your needs, tell us in the contact form below. We'll chat with you soon! CONTACT US for pricing and availability. Note: Additional fees may apply, such as venue insurance requirements, state and/or federal regulatory requirements and out-of-state travel. Where do we provide wedding video production services? What are the Different Wedding Cinematography Styles? The wedding is the most memorable occasion in your life as you are marrying your sweetheart to spend the rest of the life together. To store the memories of the special day, you need the assistance of photographers and videographers who can capture the special day with all its glory. The wedding videographers can mix the video and images of your wedding to make a storyline that conveys your beautiful love story with emotions. There are different types of wedding videography that you can select depending on the type of wedding you opt. The documentary-style video will capture the events of the day in the chronological order from morning till evening. The journalistic video makes the formal wedding event beautiful by capturing the events from marriage to the reception. Some may include the interviews of the bride, groom, and their guests that will add appeal to the video. The videographer stays obtrusive in the background and do not interact with the couple or guests. It is apt for a formal wedding that reflects the day of marriage as it happened. It is edited to make it more entertaining. It is the best option for people on a budget as it is costs less than the other styles. The videographers do no intrude the event as they stay background. The emotions and events of the special day are captured artistically to resemble a romantic movie. The cinematic wedding video will have different angles, close-ups of everyone, and soundtrack. You can choose the songs that will make your video look like a beautiful movie that radiates love. The events of the video are not in chronological order as they may focus on the main events, skipping from one to another. It is the stylish and creative style of video that is shorter in length. It gives everyone the glimpse of the best moments of the wedding in an intriguing way that will attract the attention of viewers. You get your wedding teaser or trailer that will highlight the special moments of your wedding that you can share with friends via social media. The videographers are more intrusive in the wedding style as they capture every moment with their equipment. Your wedding video looks like a movie full of emotions like love, tears (of happiness), and joy. It may use Steadicam to enhance the effect of the wedding video. Color, lighting, and other effects are added during the editing to give the video more appeal. The dramatic effect and mood of the cinematic video will create a wow-effect on the people. If you want to capture the emotions, love, and happiness of your special day in a unique method, then opt for the Marryoke video style. You will get a wedding video that captures the moment in a series of photos, videos, and karaoke bits. You can make it more fun by including lip-sync of guests, you and your partner to a funny song. The trend started by a couple in Ireland is a hit among young couple who like to have fun on their big day. The Marryoke wedding video captures the authentic emotions of your wedding day with a touch of hilarity that is a lethal combination to captivate others. Your wedding event must align with the video style to give a more enticing effect. Therefore, if you are planning a fun celebration, then opt for the Marryoke style. Every video style exudes a different vibe to the viewers. So, check out the Marryoke features and check if it matches the style of your wedding event. It leans towards comical element, so it is perfect for a casual, fun-filled wedding event. You and your partner can choose songs that you can sing together in the video. You can choose a beautiful song that will capture your emotion, passion, and love, which will make everyone groove to it. You can let loose and have fun that will make big day more enjoyable. Every style of video is different that will capture the emotions of them in a diverse manner, so ultimately it depends on the wedding style. You and your partner need to discuss the type wedding ceremony you want that will make your big day memorable. You can then decide on the videography style that will enhance the beauty of the memorable day. Wedding day is the most special day of life both for the bride and for the groom. Each and every moment of that day is memorable and to capture all those moments, people hire videographers. But there are some shots that are absolute special as well as essential on the wedding day. The videographers should never miss those moments to record them. All these memories stay with you forever and make you cherish the beautiful day. So, it is always important to plan the shots ahead of time and have all the best camera equipment or tools to capture the shots. The most awaited special moment in a wedding is when the groom is waiting for her bride and then comes the grand entrance of the bride. By any chance, a videographer should never miss this video. It is the moment where you get to capture every emotion on the face of the bride as well as the groom. That can be the perfect shot where the groom is nervous and anxiously waiting for his bride and then the immense happiness in his face when he sees his love coming. On the other hand, the beautiful emotion of the bride where she is nervous of the new world she is stepping into along with great happiness. This shot is the most special of all as it carries dozens of emotions and unspoken words expressed through eyes. People cherish this moment throughout their life whenever they watch it. It is the most candid and precious moment of all. After that, the next moment that must be captured by the videographer is when the married couple shares their first kiss. That is the best moment of the entire day and it is one of the most precious moments too. 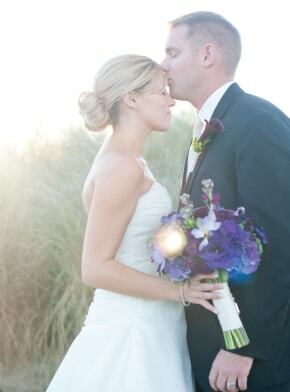 Couples cherish that moment throughout their life when they share a kiss after being officially together forever. That moment is a life changing one after all the vows taken by both the bride and groom. The twinkling eyes and beautiful smile of the groom as well as the bride when they bend to kiss each other and after the kiss are the most precious one. When captured forever by the videographer, that single shot can give Goosebumps to them forever. This moment also marks the beginning of their happily ever after and hence this shot is inevitable. So, this must be included in your wedding videography shot list without even given a second thought. Missing it can make the entire wedding video incomplete. This is when the couple has the dance floor to themselves. It's a great, cinematic moment where the videographer can capture the emotions on the faces of the couple. There are also great candid shots of the crowd - the reactions from the parents, the cheers from the crowd and even the DJ. The first dance of the couple should definitely not be missed, and it's a core part of any wedding videography coverage. This is yet another traditional moment in any wedding. It's usually a humorous and playful moment for the couple, as they take a slice of the cake and feed each other small pieces of the cake. Again, the couple is center stage on the floor and a great moment to capture the emotion from the couple's faces. Usually, around this time, the crowd has had their fill of champagne and fine wine so you'll get memorable shots of family and friends. Another beautiful moment that needs to be captured inevitably by the videographer is the bouquet tossing moment. There is a huge significance to this tradition and is one of the most awaited moments in the wedding. The bride tosses the flower bouquet into the crowds standing behind her. This is a tradition to distract the people in the crowd while she can take her husband away from the celebration to the bridal chamber. This is a beautiful custom which is being followed by all the brides in their wedding for several decades. So, capturing this moment is absolutely must for every videographer. Without this moment in the wedding video, it feels something very important is missing. So, make sure to include this in your wedding shot checklist. These are just a sample of shots that we typically cover at 2Bridges. We've done many weddings and every wedding is different. These are just some of the moments that seem to be in every wedding. They are certainly not to be missed by any wedding cinematographer. Is Wedding Videography Worth It? Weddings, they can be an extremely taxing affair that takes its toll on the mind from both the physical and financial point of view. So much so that you might be looking to do away with anything seemingly surplus to requirements in an effort to trim the budget any way you can. And in that spirit, lots of couples over the years have long pondered whether wedding videography is really a necessity for the big day. Could you pull it off without having to put the proceedings on tape? Is it really a big deal? Well, today we seek to find an answer to those questions by taking a look at just why you need wedding videography. While pictures also preserve special memories for an eternity, they simply do not tell the whole story quite like a video. A picture is a collection of bits and pieces and it is the equivalent of tasting the sumptuous appetizer on a five-course meal without getting the opportunity to dig into the main course itself. It always leaves you wanting more and more. With videography, however, nothing is left to the imagination as you will be able to delve into all the nitty-gritty. What’s more, you also be able to know what really went on behind your back as most of the time you’ll be too focused on the person standing right in front of you to notice what goes on in the background. The average wedding doesn’t just take place at the altar alone, in fact, while the vows exchange is the most important part of the ceremony, it covers just 30% of the whole process. There’s a lot going on at the after party or at the reception that you perhaps even weren’t there to witness in the first place. But with videography, you will not miss those priceless moments that often go by unnoticed. The majority, approximately 9 out of 10, of couples who have opted to do away with wedding videography have gone on to rue their decision at some point. One day, many years down the line or even a couple of days later, you’ll be sitting with your partner at the fireplace, at a park bench or your favorite picnic spot and the hazy images of the big day will crop up in the conversation leaving you with the nostalgic sensation to relive it bit by bit just as it was, and alas, there will be no tape. The interwebs are amassed with tales of regret as couples soon found out that the numerous pictures they took are simply not enough to live by as they thought. So get yourself videography to avoid the troubles of “what if” and “if only”. It is a decision that could haunt you for the rest of your life. You’re not just getting the wedding videography for yourself, oh no. The purpose of videography supersedes the two of you as it could be an invaluable treasure to the generations that come after. It will serve as a good example of happiness, an epitome of love at its purest and a testament to the roots from which the generation of the day once came. We do not live forever but film will exist long after we are gone. And it might just be the only way for your great-grandchild to get to know you long after you take a bow from this world. Just imagine what you wouldn't give to get a taped recording of the special day of your grandfather’s grandfather. Well, videography affords the opportunity to create a timeless piece of family heirloom. If a picture is worth a thousand words, then a video is certainly worth millions more. Wedding videography is the final piece of the wedding jigsaw puzzle and you could rue not getting a once-in-a-lifetime occasion on film. For what good is your special day if you can’t relive it every so often, time and time again, in motion pictures? Videography is simply a must-have for any wedding whether big or small. While some do not think much of it, it is in fact, just as important as the wedding rings themselves.